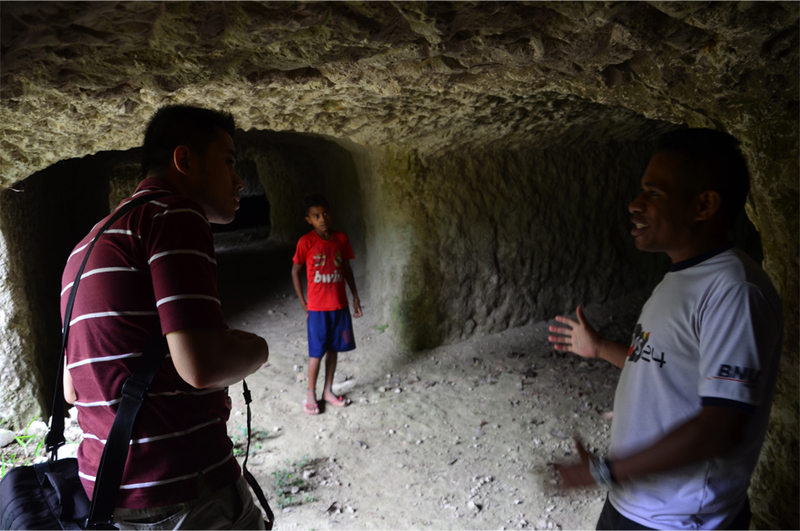 I had travelled to Timor-Leste in the hopes of meeting someone who would freely tell us about the past. Bama, in his wish to hear an unfiltered version of events, chose to conceal his Indonesian identity. At first glance the school looks almost abandoned. It stands forlornly over an overgrown field, a combination of crayola colours and stains of mould creeping down the outer walls. 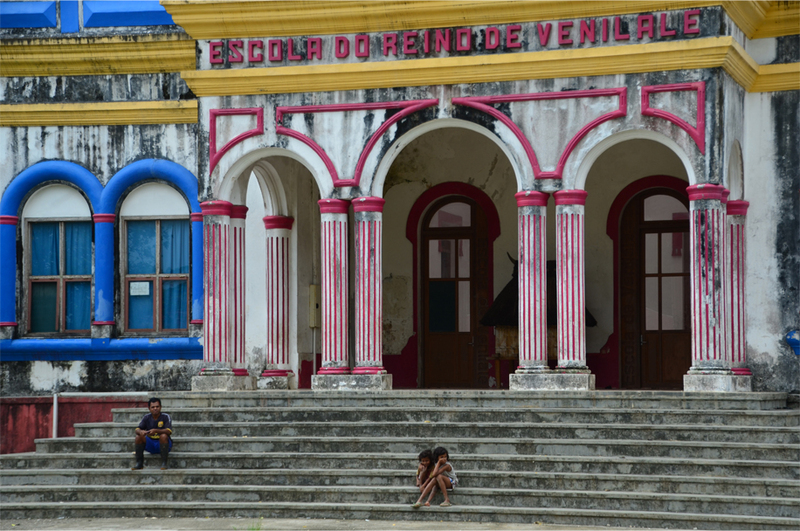 Above the worn but handsome portico, a row of Portuguese lettering greets us in cheerful pink: Escola do Reino de Venilale – ‘Royal School of Venilale’. It is Christmas Eve and we are on a journey to trace the collective memory of Asia’s youngest nation. Johnny, our enthusiastic young guide from Timor Megatours, has brought us here to the humble mountain town of Venilale, thanks to the significance of this tattered building. We climb the steps and peep through a broken glass pane, into a darkened room where the furniture seems piled up in a heap. 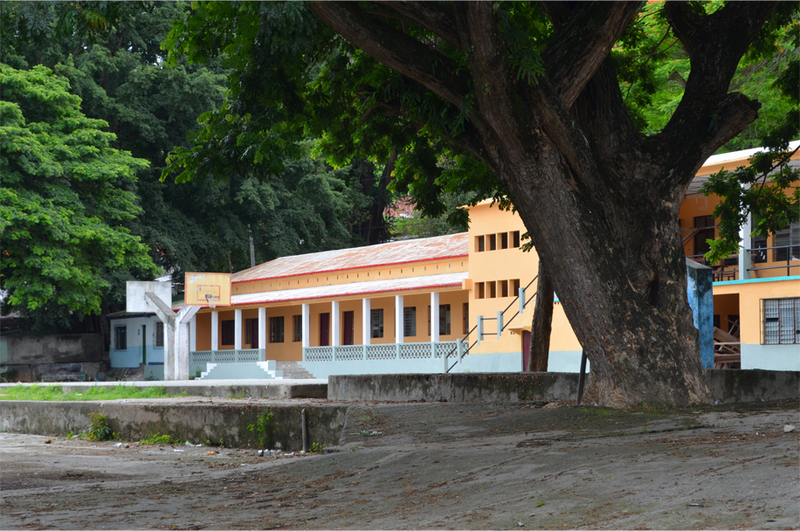 One of only two public schools in Timor-Leste when it first opened, the escola once hosted several fathers of the nation, not least Prime Minister Xanana Gusmão and Nobel Peace Prize Laureate José Ramos-Horta. Both leaders spent some of their early childhood being taught inside its walls. Johnny tells us that under the Portuguese, only those with royal lineage were entitled to an education. All this changed when Indonesia marched into the fledgling state, nine days after Timor-Leste broke free from Portugal. Over the next 24 years, the new rulers brought improvements in education and infrastructure, but also military repression and violence. An estimated 90,000-200,000 people would die from conflict and famine. Metinaro Heroes Cemetery lies 25km to the east of Dili, its entrance from the coast road marked by a lonely white archway. 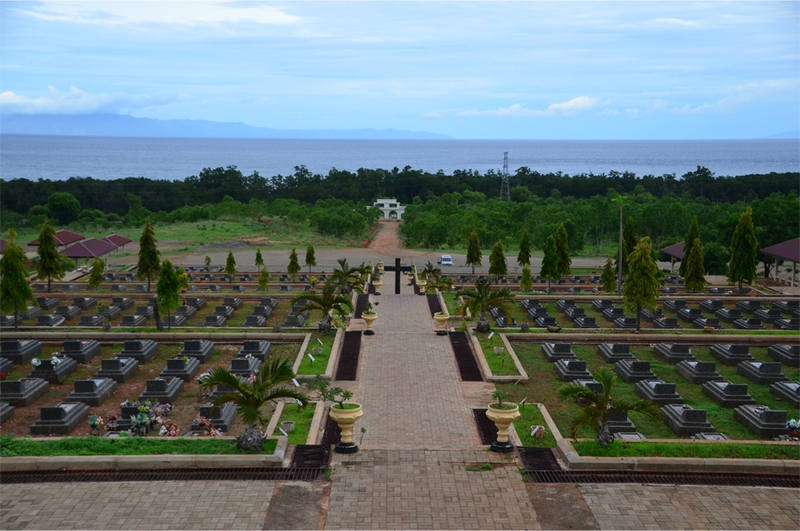 The graves, encrusted with sesame seed-like stone fragments, rest on terraces facing the Banda Sea and the rugged island of Atauro. This is the first stop on our journey and Johnny is keen to show us the grave of one particular hero. 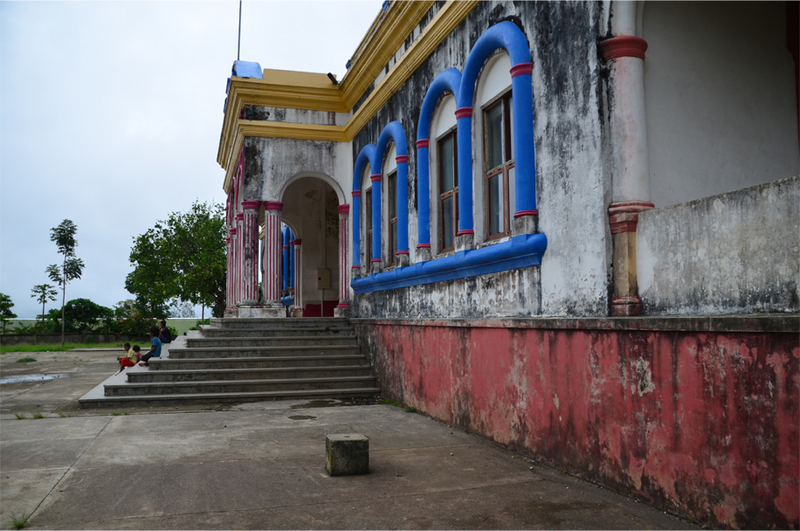 On a higher terrace we visit the tomb built for Francisco Xavier do Amaral, the first President of Timor-Leste when it declared independence in 1975. His final resting place is anchored by a brand new wooden cross; below this, a floral tribute laid carefully on the bare cement. The statesman died only in March 2012. Opposite Amaral’s concrete mausoleum stand two low, unassuming structures. Johnny tries a locked door, but is at a loss to explain what is contained inside. “What do you call it? We say restos martires.” We realise that this is an ossuary, part of an ongoing effort to gather martyrs’ remains from all across the nation. 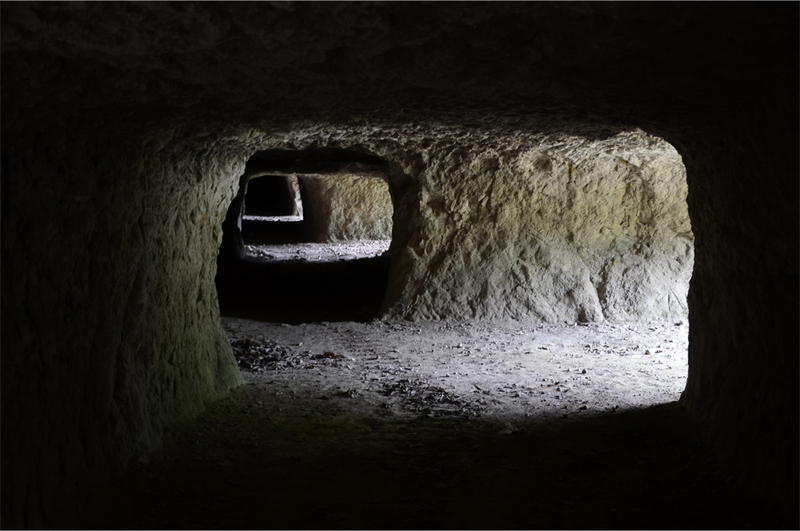 I picture metal racks and boxes filled with bones exhumed from the earth, the tangible remnants of a long and bitter struggle for independence that began at the height of the Cold War. In the wake of the Carnation Revolution – a bloodless coup on April 25, 1974 – Portugal prepared for a steady withdrawal from its colonies. East Timor saw the emergence of several political factions, the strongest two being the left-wing Revolutionary Front for an Independent East Timor (Fretilin) and the Timorese Democratic Union (UDT). To counter Fretilin’s growing popularity, the UDT mounted a coup in August 1975, leading to a three-week period of clashes in which Fretilin emerged victorious. Then on November 28, East Timor declared its independence. Military hardliners and ultra-nationalists in Indonesia were at turns alarmed by the prospect of a communist state on their doorstep, and buoyed by the chance to annex the small half-island nation. For this, they sought the approval of Australia, and most importantly, the United States. South Vietnam had capitulated in April, leaving Indonesia – led by the military dictator Suharto – as America’s key ally in Southeast Asia. On the afternoon of December 6, the day before the invasion, US President Gerald R. Ford and Secretary of State Henry Kissinger met with Suharto in Jakarta. “It is important that whatever you do succeeds quickly,” Kissinger told him. Sixteen hours later, the skies over Dili filled with Indonesian paratroopers who jumped from American-made C-47 and C-130 aircraft. A detailed analysis done by the US National Security Council soon found that roughly 90% of the equipment used in the invasion had been supplied by them. Kissinger would announce an immediate doubling of military aid to Indonesia, amounting to a total of over US$250 million between 1975 and 1979. As the Indonesian military asserted control over East Timor, its troops committed unspeakable acts of terror. According to Johnny, men were ordered out of their vehicles and massacred on the outskirts of Manatuto, bombers sealed off mountain caves where civilians had taken refuge, while nuns were brutally raped and murdered before being thrown into crocodile-infested lakes. We’re not far out from Dili when Johnny reveals his personal connection to the struggle for independence. “My father was a commander of the guerrilla fighters,” he says. In 1996, Johnny’s father was captured by Indonesian troops. He was stripped naked, given electric shocks, had fingernails and toenails pulled out, while hairs from both his head and nether regions were singed. Eventually, he managed to escape from prison and return to the jungle. Johnny believes it was the strength of his father’s natural power that allowed him to break free. 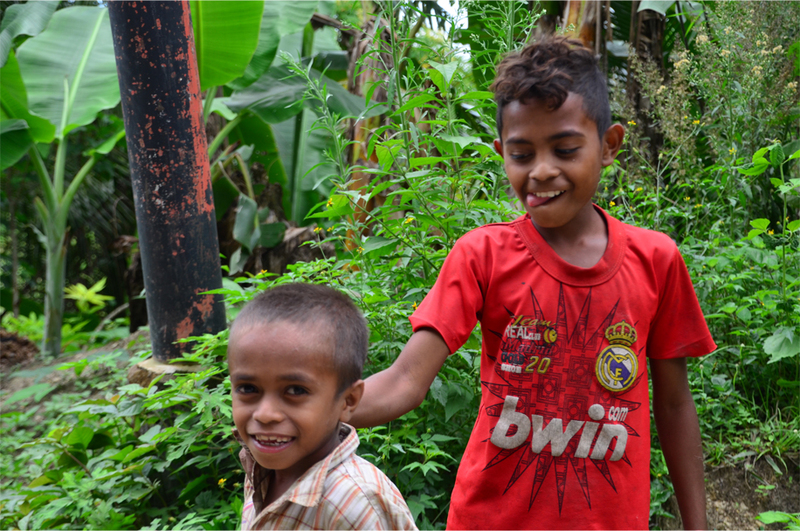 Three years later, the East Timorese struggle came to a crucial turning point. It was August 30, 1999, the date of a UN-sponsored referendum that would decide the future of what was then Indonesia’s 27th province. Of over 451,000 registered voters at the time, nearly 440,000 – more than 98% – went to the polls. Five days later, it was announced that East Timor had voted overwhelmingly for independence (by 78.5%). Past Manatuto, the road rises onto high ground, snaking along a grassy ridge over the surrounding landscape. 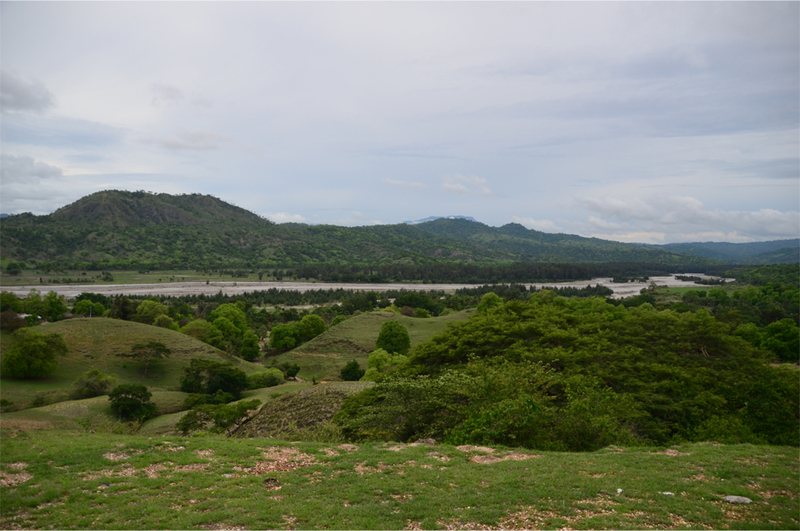 Its location is strategic but hopelessly exposed – making this the setting of many ambushes on Indonesian forces by the guerrillas. 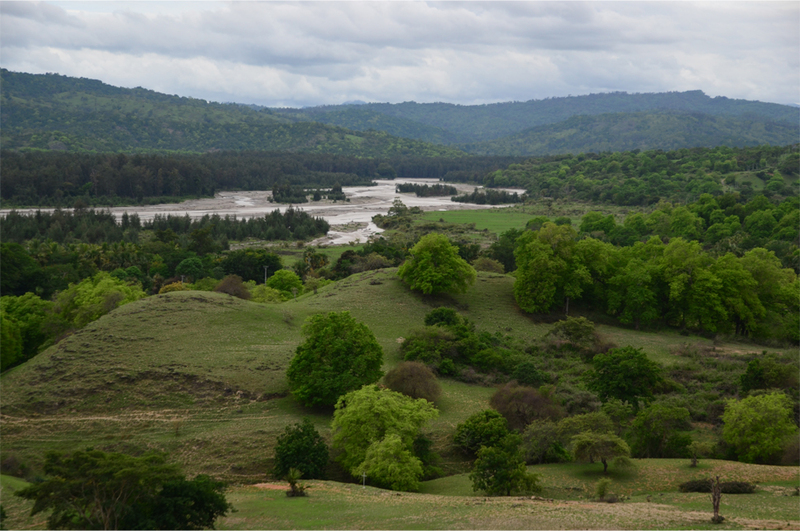 In the distance a wide but shallow riverbed braids between the forested hillsides, a beautiful scene of casuarina and tufts of broad-leafed trees. Beyond this lies the jungle of Kairui. Johnny tells us that it was once an important base for the Timorese resistance, proudly declaring that an Indonesian plane was shot down from this area in 1999. He points out a string of utility poles carrying electricity to the mountain hideout, where independence celebrations are now held. 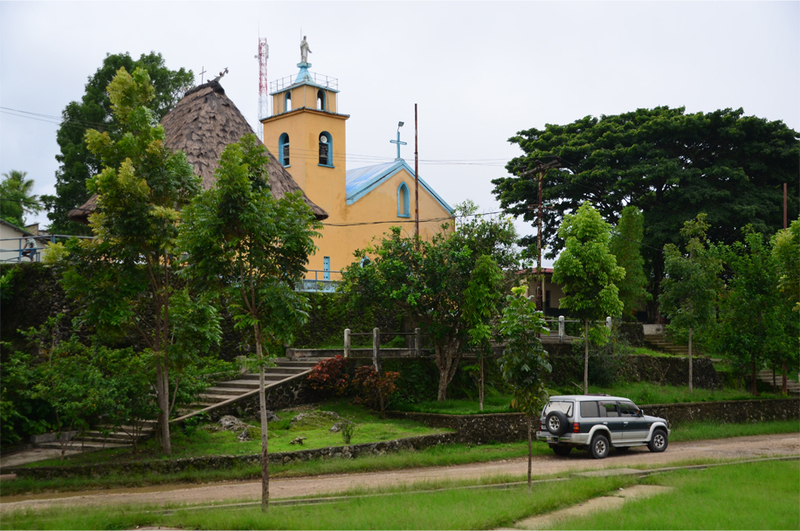 Kairui, we find, is remarkably close to the hometown of one of East Timor’s eminent statesmen. 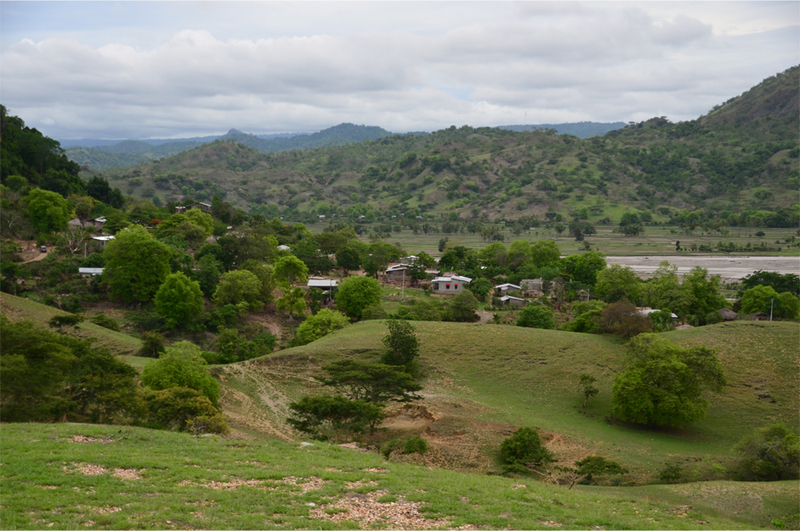 The village of Laleia, lying at the foot of the ridge, is the birthplace of Xanana Gusmão – the country’s first post-independence President and current Prime Minister. Largely responsible for organising the resistance, Gusmão rose to become a high-profile leader, charismatic and widely admired throughout East Timor. His capture and imprisonment in Jakarta only served to bolster his cause, and the world recognised Gusmão as the face of East Timor’s struggle for independence. 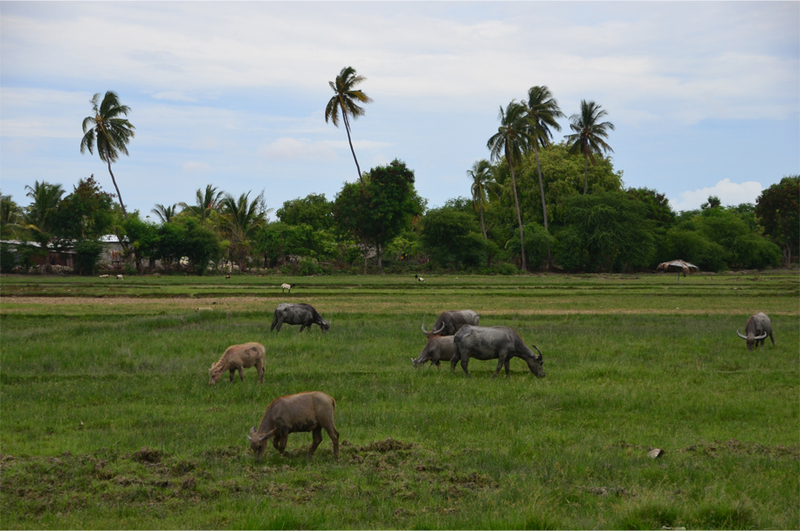 Eventually we leave Laleia and climb the winding road to Baucau, past herds of grazing water buffalo and fallow rice terraces. There are questions I badly want to ask, but immediately suppress, out of respect for my travel companion. Have you forgiven the Indonesian military for the torture of your father? For the large-scale atrocities committed since 1975? 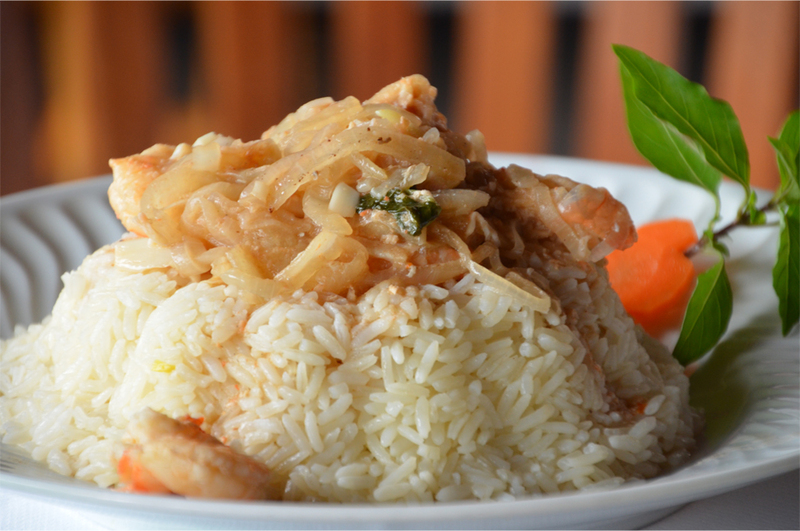 If you had an Indonesian on this journey, what would you tell him? Sometimes I still wonder what Johnny would have said. Perhaps he never saw it in such black-and-white terms; in 1999 many acts of violence were inflicted by the pro-integration Timorese on their pro-independence brethren. Perhaps Johnny had long accepted the bloodshed as an unavoidable fact of life, a product of circumstances far beyond his control. I noticed that even as he recounted his father’s trials, there was not an ounce of bitterness in his voice. The unlikely answer comes in a phone call, to which Johnny replies in fluent Bahasa Indonesia. He speaks fondly to a female friend, her voice clearly audible as they laugh and exchange Christmas wishes. “Selamat Natal!” he says. 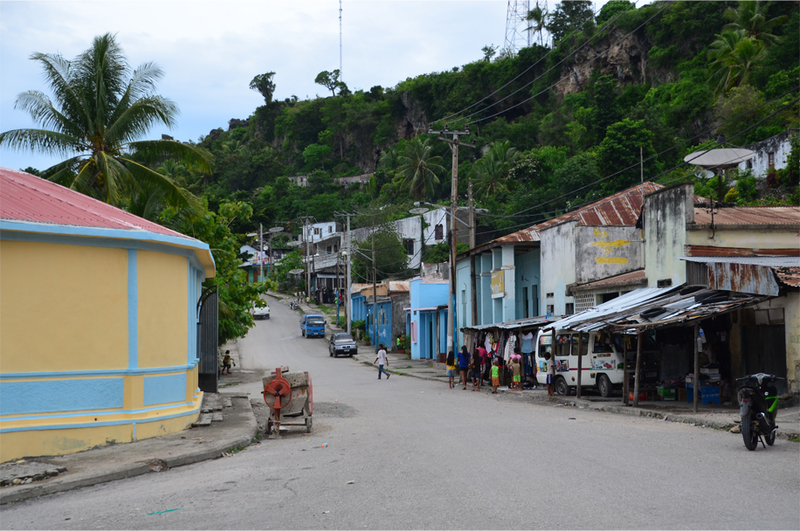 Baucau, the second-largest city in East Timor, is divided into an upper and lower town. 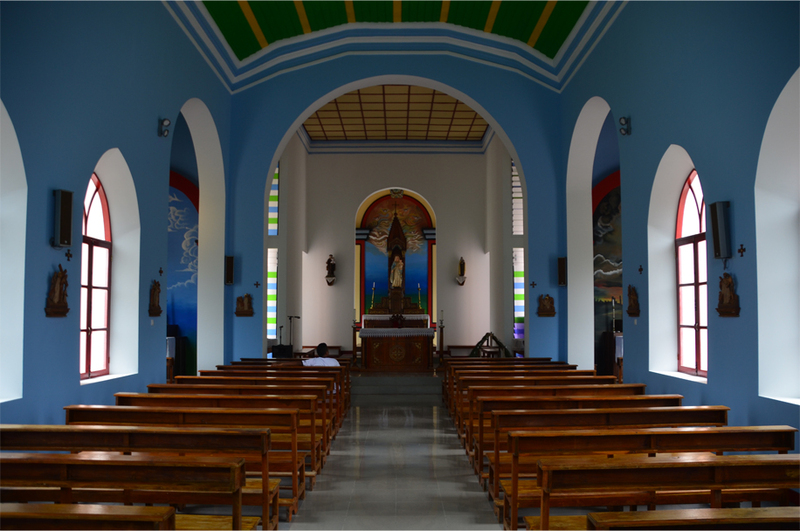 The unremarkable upper area was a centre of administration under Indonesian rule, while the old lower town has retained some degree of Portuguese flavour, down to the azulejos on the façade of a modernist church. Johnny tells us the name means ‘Mother of Rocks’ in Fatuk Laran, the local language, no doubt a nod to its dramatic cliffside setting. 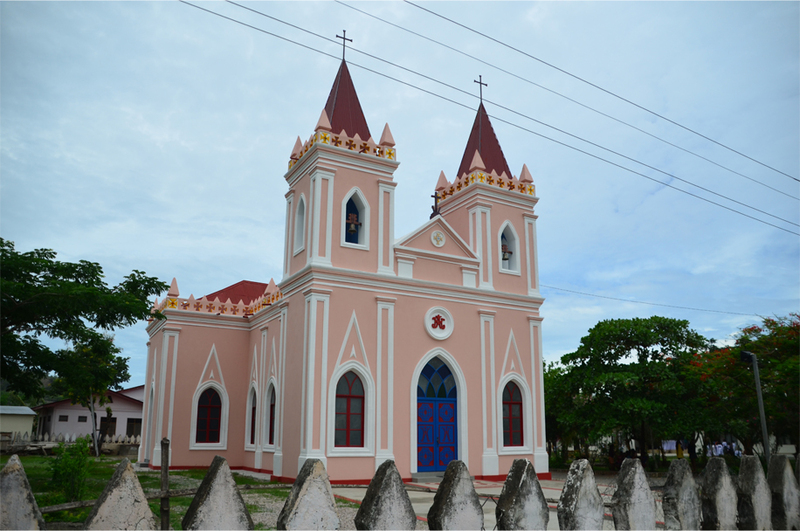 At the heart of the lower town, we witness the rehabilitation of Baucau’s colonial heritage. 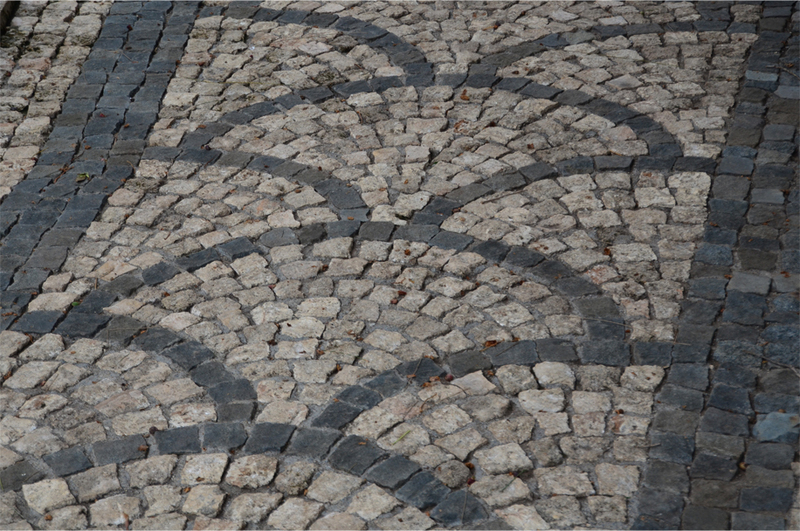 For years, the stately old municipal market sat abandoned and crumbling, weeds sprouting from its floors. But now we see painters at work, retouching the building in yellow and pastel blue for its new role as a convention centre. 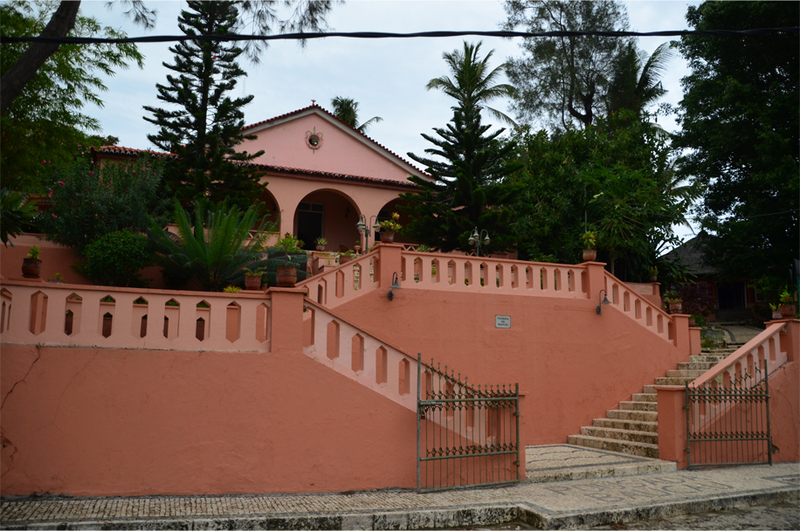 The peach-coloured pousada, Portuguese for “inn”, is also a local landmark. During the Indonesian occupation it was renamed the ‘Flamboyang’, used as a headquarters for the military secret services and partially converted into a prison. 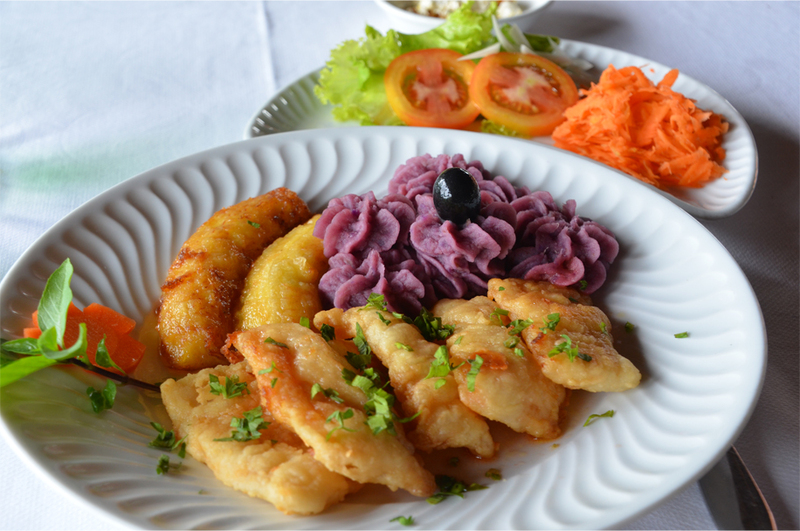 Eleven years after its reopening, we peruse the menu of Portuguese-Timorese dishes, among them filetes do mar de Baucau: fried fish fillets, served with fried banana and mashed taro; and singa de camarão: shrimp, garlic and sautéed onion on a rice pilaf. My immediate instinct is to caution against it, out of concern that our tour guide would change his narrative. But was I right to dissuade Bama from doing so? Had I denied him the chance to extend an olive branch, to atone for the gross wrongdoings of his countrymen? What if I had missed the greater story of reconciliation to hear yet more accounts of war and suffering? 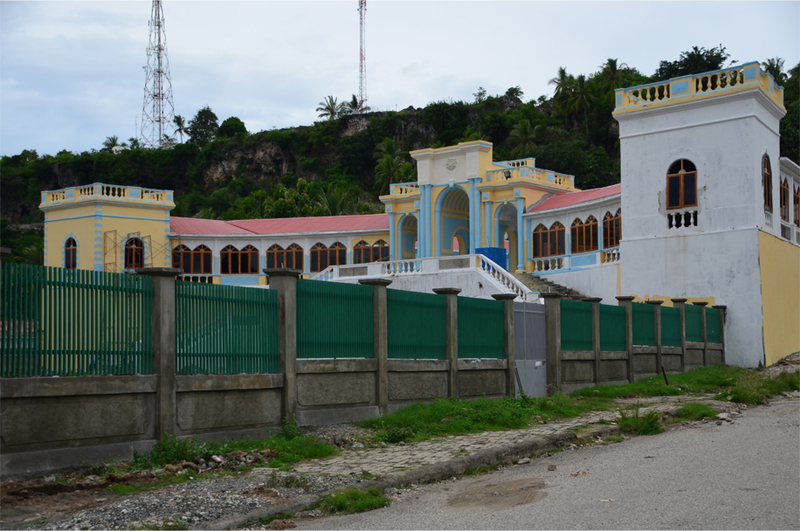 When Johnny returns after lunch, he leads us along the road to Baucau’s former royal school. It is on the bare concrete forecourt, below a sprawling old tree, that Johnny asks us if we know the Tetum word maun. That day, when I listened carefully to everything that Johnny told us about the brutality of the pro-integration militia and the Indonesian armed forces, my mind flashed back to that heartbreaking Al Jazeera documentary. I knew about the military’s oppression in East Timor, but I was not aware of its scale. Days before coming to Dili I really had this urge to make that reconciliatory effort, no matter how small it might be. However I was glad when you said that it was probably not a good idea to reveal my identity to him. I do wonder how he would have reacted, but hearing his unfiltered story was invaluable, indeed. A lot of Indonesians do business there now – a good sign of a fast recovering relation between the two countries. But only true acknowledgement of what we did in the past and real effort to pave the way for a better future for both nations that will ensure a long-lasting, sincere and equal friendship between Indonesians and East Timorese. Great story and photos, James! Thank you, Bama! I think this was genuinely one of the hardest posts I’ve ever written – such heartbreaking stories and all of them needing to be told. I was truly humbled by the resilience of the East Timorese, and how open Johnny was in sharing this tragic history. And I really did not expect our tour guide to be the son of a guerrilla commander… what an incredible experience it was. Great narration and beautiful images. Beautifully written James. It made me sad. I think the US has been responsible, by supplying weapons and ‘giving permission’, for many of these ‘little’ wars around the world in the name of having allies in convenient places. It also makes me angry. And it reminded me that for the longest time the Australian government refused to give a public apology for the atrocities inflicted on the aboriginal people, even though the vast majority of the white population wanted it – so much so that they organized their own ‘National Sorry Day’. So much can be achieved just by being willing to say that you’re sorry, from an individual, to a national, to a global level. I’m glad to hear from Bama that Indonesians are doing business with the Timorese – it does speak to a certain level of healing taking place. Thank you, Alison. I did not know much about the US involvement until after I got back from East Timor… I was appalled and so angry when I did more research, the government knew the invasion was illegal, they knew it defied international law and that it broke a defense pact between Indonesia and the US. As for the Indonesian military, I have nothing good to say about them. I don’t think there has been any apology on an official level, or a real acknowledgement of what happened in East Timor. The culture of impunity still remains, there have been reports of journalists being murdered for covering sensitive topics, and in those cases no one has been brought to justice. But the Timorese have been extraordinarily forgiving, there was not once that Bama was looked on with anger or resentment for being Indonesian or for speaking the language. They seemed to have a keen sense that there will always be good and bad people in every nation, culture and creed. Amazing stories. Thank you for teaching me about East Timor! 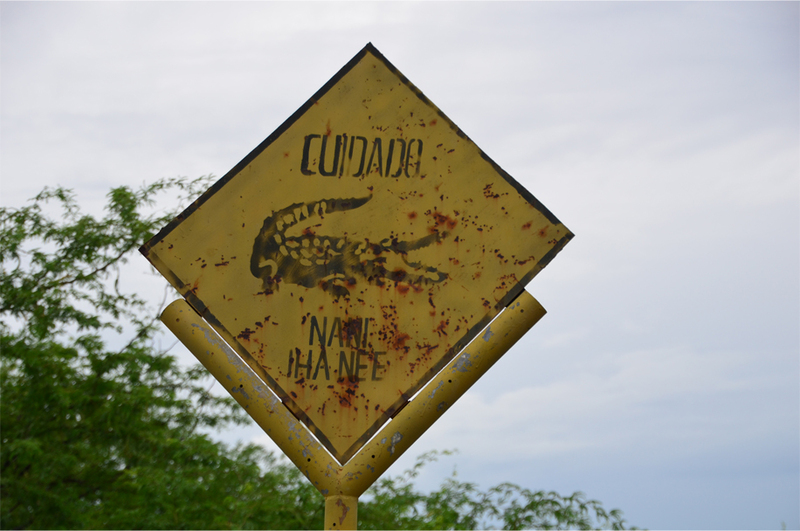 A great post….would not have known anything about east timor or the atrocities. Truly heart wrenching. Thank you for reading, Mia – it was not the happiest subject but these stories needed to be told. We, as the outsiders, had never known what had happened deep inside of the hearts of people who were suffering from the crushing moments. But I believe the strength of compassion in human being, some or most of them, at one point preferred to choose to accept the darkest room in their hearts, for the goodness of their own lives and their ‘enemies’, with or without apologies. Same, that we’d never known the suffering of the people of the other side who had made this happened. Beautiful written and photos James, thank you for sharing this. Riyanti, thanks for your hearfelt comment. I imagine it was very difficult to read this and I’m grateful that you persisted until the end. The world clearly needs a lot of compassion, even now as we see the continuing conflicts in Syria and elsewhere around the world. Just beautiful! I especially love the last line James. How many times do these tragedies have to play out before we learn our lessons? I did follow a bit of what the Western press doled out about the struggle in East Timor, but I can imagine how powerful and moving Johnny’s first hand account must have been. You did a phenomenal job of conveying his feelings of sorrow and compassion. Well done, as always. Thank you for those kind words, Madhu. We never do seem to learn, not even after two World Wars and countless other conflicts in the last century alone. 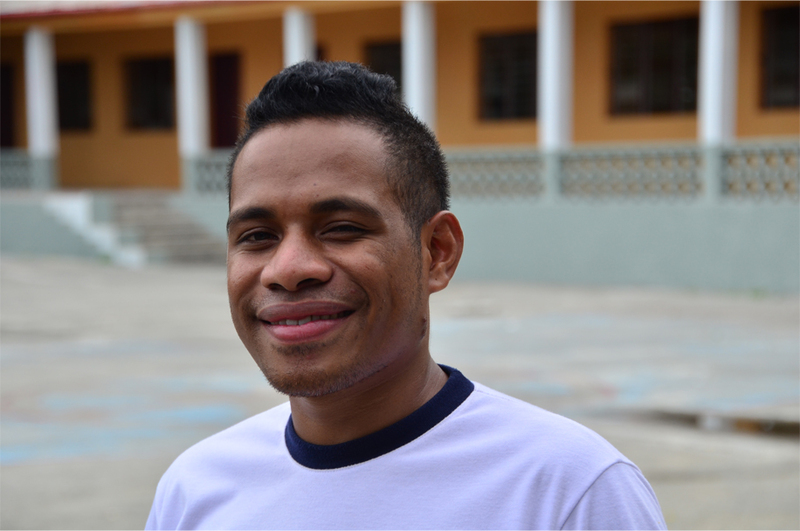 Johnny – and the Timorese as a whole – taught me so much about forgiveness and the true value of freedom. Thank you for this, James! I have been looking for travel blogs that offer more than practical tips I could glean from most Google searches. This post is a reminder of the connections we can make when we travel (and at home) if we see with an open mind, and try to forget our expectations. It’s my pleasure, Sarah! 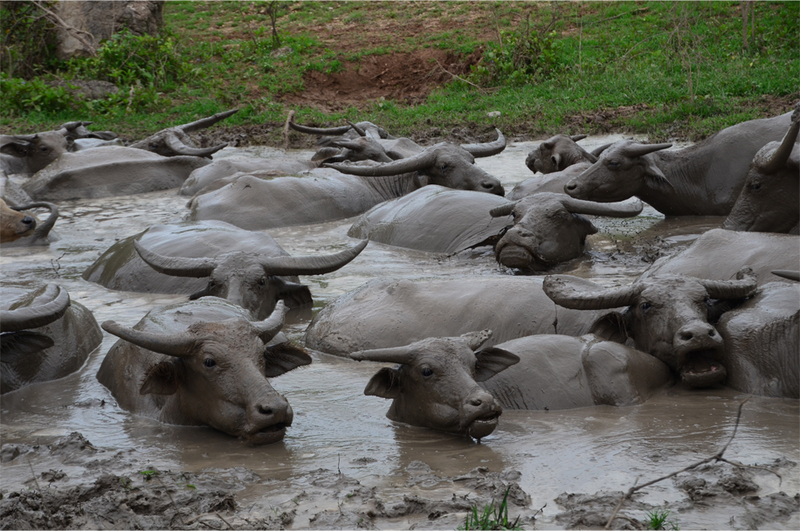 I think one of the best parts of travelling is when we stumble across a profound experience like this. It’s not something I will forget for a very long time. I am crying for Timors history. Only really learning about it today. Wishing all the strength and Love to Timor.x. 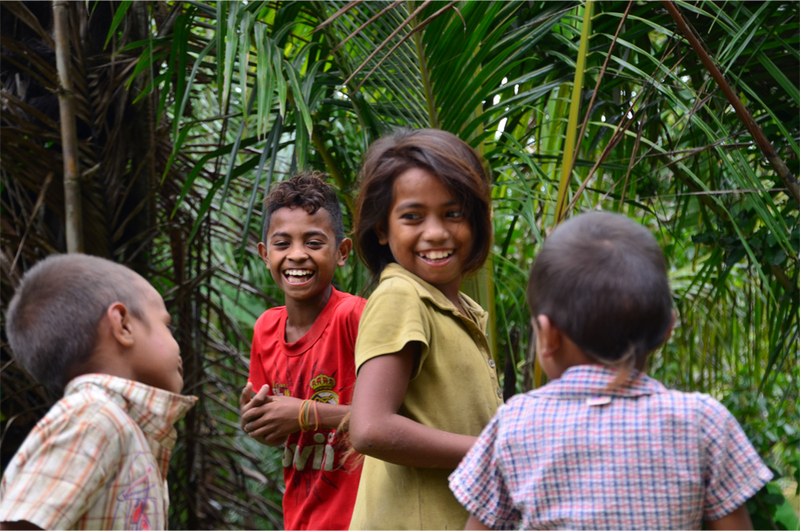 Now that they are an independent nation, I really hope that positive change and sustainable development can propel Timor-Leste into the future. 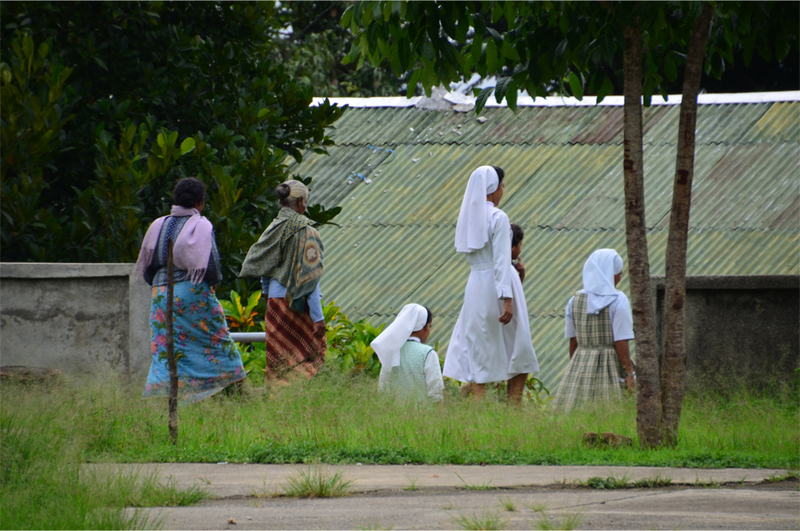 It would be wonderful to see a day when it is no longer the poorest nation in Southeast Asia.